These three lacquers are all holographic to some extent, whether is is very slightly or very strongly, but I'll let the photos do the talking or me eh? First up is my favorite of the three, Yes Your Majesty. 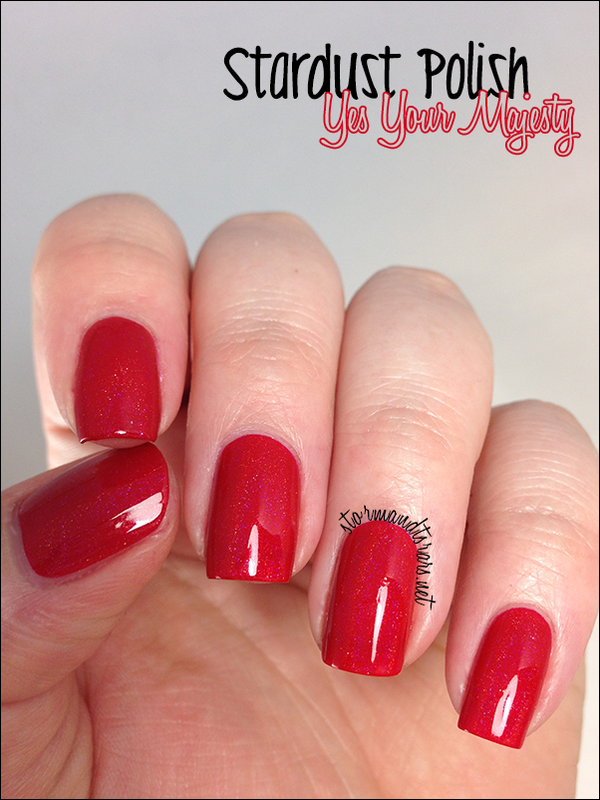 Yes Your Majesty is a gorgeous cherry red holo jelly that I fell in love with the moment I put it on. It reminds me of candy apples and fast cars. I absolutely could not capture how holo this one was, but it is deep and shiny and the holo is very obvious on the nail. 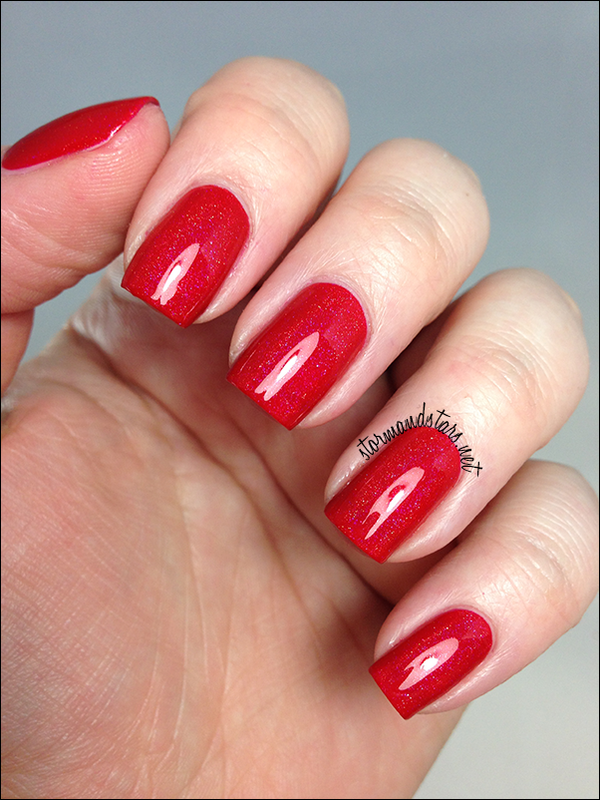 I used 3 coats of Yes Your Majesty plus topcoat for these photos. The formula was fine, i had no trouble with streaking or dragging. Absolutely in love with this one. Nothing I don't like about it. 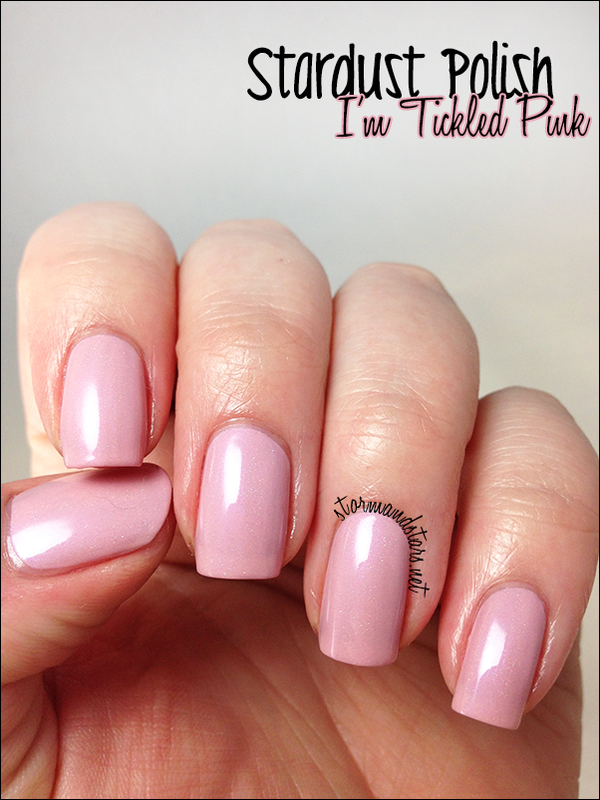 Next up is I'm Tickled Pink. This could be perfect for a wedding or a baby shower or even to work someplace where work-appropriate polish is a must but you want a little flair. 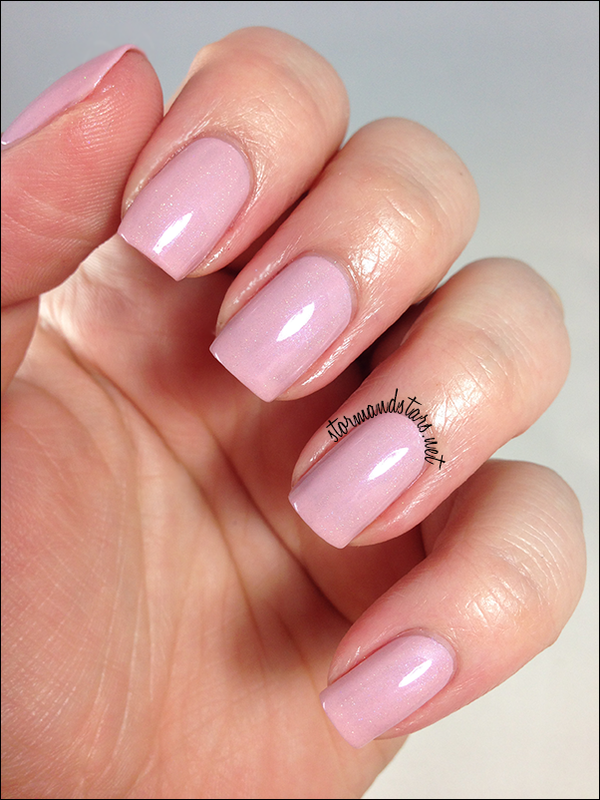 I did four thin coats of I'm Tickled Pink plus topcoat for these photos. Unfortunately, I had a bit of trouble with this one formula-wise. It was super sheer and I had streaks even after 4 coats. In the future I'll definitely layer this one over either a white or something similar. Last up is the Holo-Stunner of the bunch, Royalty. 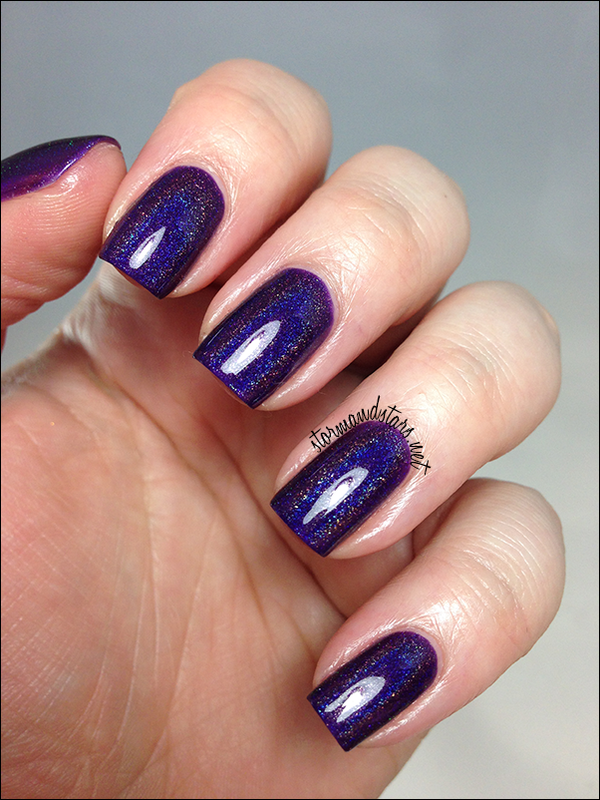 Royalty is an absolutely stunning deep purple jelly with a strong linear holo. Look at that squishy shine! I absolutely love this one. I think this will be a favorite for a long time to come. I used three easy coats of Royalty for these photos. No streaking or dragging, absolutely perfect formula. Overall I really liked these lacquers. Even with the trouble I'm Tickled Pink gave me, over a similar colored undie I'm sure it'll work fine. Royalty and Yes Your Majesty will be loved over and over here I can assure you! What did you think? 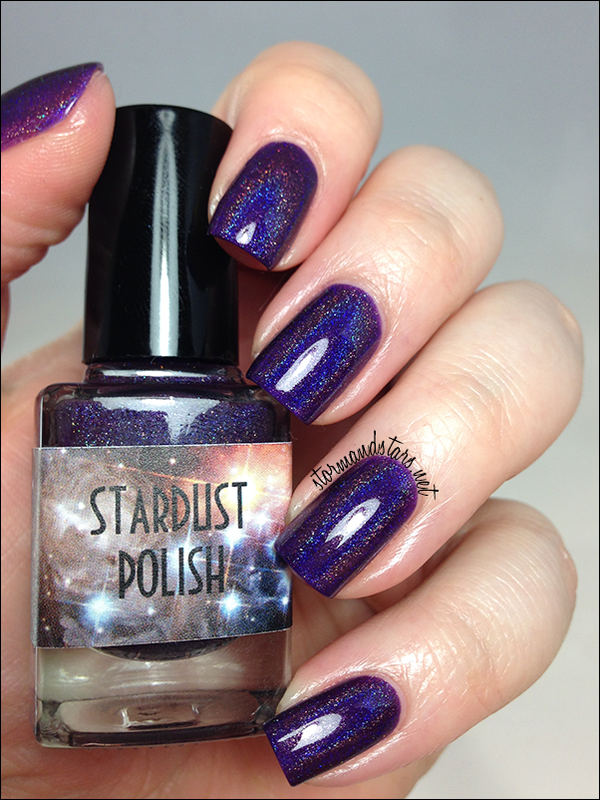 Do you have any Stardust Polish lacquers? Which one is your favorite? 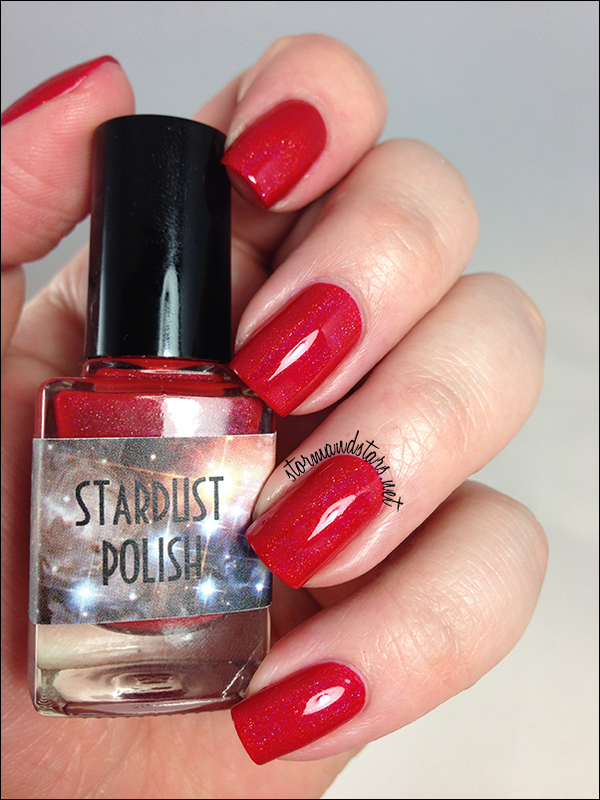 Stardust Polish is available in their Shop and you can follow them on Instagram and Facebook for news and shop announcements like restocks and new lacquers.